Is There More Than One Right Way To Be An Observant Jew? Shabbat Shalom, everyone. And I know that the Orthodox way has its charm, its appeal, but the cost of living like the old days in this postmodern world is very high. This article is about the real price of being Orthodox in Atlanta and completely following the traditions. I don’t mean to be unkind to Derek, but my impression of the above-quoted comment is that keeping an Orthodox lifestyle is “quaint, ” impractical, and largely unnecessary for Jewish living. Maybe I’m getting Derek all wrong, but I think he’s missing the point. But first things first. Derek is commenting on an article written by Asher Elbein for Tablet Magazine called Grappling With the Rising Cost of Being Orthodox. For Orthodox Jews everywhere, the cost of being observant has always been high; day schools, kosher food, and housing have always been expensive. But those costs have risen dramatically in recent years. And for residents of Toco Hills (a Modern Orthodox enclave near Atlanta, GA), where housing costs have climbed even as the recession has lowered people’s incomes and reduced their savings—and many breadwinners have lost their jobs—the costs have become a major burden. According to Rabbi Ilan Feldman, leader of Congregation Beth Jacob, a grand shul at the center of the community, 100 of the 600 families living here are on federal or local assistance, a number that has risen gradually but consistently since 2010. The article highlights Tzivia Silverstein, an Orthodox Jew and an unemployed single mother. In the Facebook conversation regarding this article, Derek commented that Conservative Judaism “is a good middle ground,” but is this really such an easy choice, like choosing which food items to put on your plate at the local Golden Corral restaurant? Although Tzivia was born into a Reform home, many Jews are born and raised in Orthodox Judaism. It is, for them, more than a “lifestyle.” It’s a life. Even in other branches of Judaism, the Orthodox (and there’s more than one expression of Orthodox Judaism, from Modern to Chasidic) are looked at somewhat askance. They are seen as rigid, judgmental, archaic, and even uneducated. Many hold to a very literal understanding that the Earth is 5,774 years old (the current year on the Jewish religious calendar is 5774). On top of that, the Orthodox are considered the most “rule heavy” expression of Judaism and, as the Tablet Mag article attests, being Orthodox and strictly observant is very expensive. I’ll admit to experiencing a certain amount of dissonance between the Tablet Mag and Aish articles, since you’d think Rosenberg’s Orthodox Judaism would somehow step in and help out Silverstein to the degree that she could acquire a job with an adequate income and not struggle so hard to make ends meet. I also experienced the same dissonance with how Sue Fishkoff described the Chabad in her book The Rebbe’s Army in relation to some of the experiences my wife has had with the local Chabad Rabbi and Rebbitzen (no, they’re not bad people, but they are human, not the morally and ethically superhuman people Fishkoff often described in her book). After two weeks in the hospital, the doctors told us we could go home. In the end, they said they would monitor her condition, but over time it would likely go away on its own. Our two kids at home were delighted at the return of their baby sister. They helped her and cared for her and nurtured her. As a parent, there’s no better feeling than seeing your children care for one another. Likewise, when God watched how my community took care of my family in our time of need, I think He too had that parental pleasure, so to speak. I wish I could thank my community publicly for everything that they’ve done but I am writing this under a pseudonym to protect the privacy of my family. But I know that my community doesn’t want a public thank you. They were just doing what they do. That is the Orthodox community I know. Getting back to the Facebook commentary, why would being Orthodox seem to be such as casual selection (and I apologize if I’m mischaracterizing the motives or intent of Derek and the others dialoging in the thread)? I think Yeshua will be a conservative Jew. Orthodoxy is more interested in keeping Torah( or the rabbinical interpretation of Torah) with rigidity. Creating it to be a burden, and simple works that do not bring us closer to Hashem . Reform is too liberal, and mostly a social club than a house of worship. I believe all Jews want to serve Hashem,they just have different interpretations on how to do it. The MJ I attend leans towards the conservative tradition. I suppose we all have our own theories on what sort of Judaism Yeshua (Jesus) will advocate and teach upon his return (although Christians probably don’t imagine he’ll practice Judaism at all), but we are operating in a vacuum. We don’t know that Messiah will formally support a currently existing branch of Judaism. But if you read Matthew 23:1-3 as I do, you see Jesus not only agreeing with the teachings of the Pharisees but stating that they had the right to issue binding halachah (legal rulings) for their community, which apparently included Yeshua’s disciples. That would at least hint that in the future Messianic Age, he will support a more strictly observant lifestyle which probably will include a variety of traditions such as Netilat Yadayim (ritual hand washing). That’s a guess, but I hope it’s an educated guess. Of course modern Messianic Judaism, like all of the other more normative Judaisms, doesn’t represent a single, overarching identity or philosophy. Derek is affiliated with the Union of Messianic Jewish Congregations (UMJC) which he describes as “the oldest (and best) network of Messianic Jewish congregations in the U.S.” If you go to the Introduction page of the Standards section of the Messianic Jewish Rabbinical Council, which provides the oversight for the training and ordination of UMJC Rabbis such as Derek, you can find a PDF document called Standards of Observance which outlines in some detail the “worship, ethics, education, (and) halakhic standards” established by this body. Without going into exquisite detail, those standards seem largely to be Reform with some elements of Conservative Judaism. I don’t doubt that those particular standards were selected with the majority Gentile attendance of UMJC synagogues in mind. Although I know more than a few non-Jewish people who have basically run out of their churches and into a Messianic Jewish lifestyle of one sort or another, almost all of them are not observing halachah to the level of an Orthodox Jew or anywhere near it. Messianic Judaism is even now just beginning to emerge into its own as an authentically Jewish expression of Yeshua-faith, but it has a long way to go. As a relatively new branch of Judaism (I realize I’m going to receive a lot of “push back” by calling Messianic Judaism a Judaism at all), it’s still trying to “find its feet,” so to speak. UMJC is only one organization representing Messianic Judaism and its codified standards only apply to the affiliated Rabbis and synagogues under the UMJC banner. Other Messianic Jewish groups (as opposed to One Law/One Torah, Two House, Ephraimite, or Sacred Name groups) may follow different standards, either established by a different umbrella organization or at the level of the individual synagogue/congregation. Even within those groups, Jewish individuals and families may hold to varying degrees of observance, some more stringent and some less than their faith communities. I’ve found that to be true of many of the Jewish families who attend the local Reform/Conservative shul. I’ve heard some people there comment that they think the Rabbi is “too religious”. I say all this not to be unkind to Derek, anyone who has conversed with him on Facebook, the UMJC in particular or Messianic Judaism in general. I am saying that religious Jews all over the world make decisions about what being observant means to them and what their duties to Hashem are in this world. Both Wittenberg and Silverstein in the Tablet Mag article say they’ve made their choices and that being Orthodox, though sometimes a terrific financial struggle, is worth it to them. They seem to join with Rosenberg in saying that the community life of Orthodox Judaism is woven not just across the collective community, but in each of their individual lives, binding one Jew to another. Even watching my Jewish wife, who has a fairly relaxed observance, particularly compared to Chabad, relate to other Jews and to the Jewish community (regardless of synagogue affiliation) testifies to this bond between Jews, a bond I can’t be a part of and admittedly don’t really understand. Although my wife wasn’t raised even as a secular/cultural Jew (long story), the “Jewish connection” seems to come from her very DNA and is firmly anchored to her soul. It just needed an expression which my wife has since discovered. So while I can recognize, at least on the outside (far, far outside) looking in, that living as an Orthodox Jew can be a struggle, I can also see that it has many rewards. I certainly don’t see the justification in criticizing a Jewish person’s decision about how to be a Jew. I know if I tried that with my spouse, she’d promptly explain to me in no uncertain terms that she didn’t need my advice or permission on how to be Jewish (that happened exactly once and I’ll not cross that boundary again). I apologize if I’ve ruffled feathers, but we must admit that in the present world, there seems to be more than one acceptable manner by which an observant Jew can live as a Jew. When Moshiach comes and teaches Torah, then we will know more. In the meantime, we should not criticize the level of a Jewish person’s observance, especially if it’s more strict than our own (or rather than another Jew’s observance). The world, including the Christian world, has tried for thousands of years to destroy the Jewish people and Judaism using many and varied means. The current method of choice is assimilation by reducing the Jew’s observance and sense of Jewish identity to zero or close to it, thereby turning that Jewish person into a Gentile with Jewish genes. Utilize every opportunity to become aware of the Almighty’s kindness. This awareness will motivate you to emulate the Almighty and make the attribute of kindness an integral part of your personality. 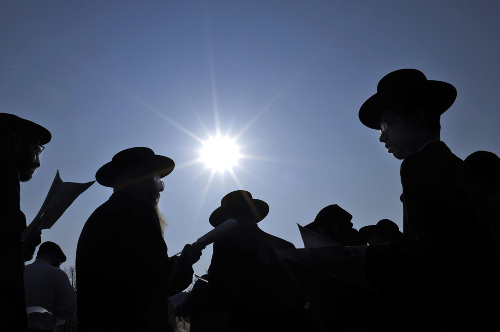 On a recent visit to New York I was quite shocked to see that Orthodox Jews still walking the streets with black hats, long coats, beards and peyos. Why is it necessary to be so behind the times? I heard a true story which should shed light on your question. Of course the fascinating part of this story is how the Jewish woman was bothered only when she thought the man was a traditional Jew. But I’m not sure exactly what the problem is. In fact, the Midrash says that when the Jewish people were enslaved in Egypt, the only thing that kept them from completely assimilating into Egyptian society was that they maintained distinctive cultural items like mode of dress. And I rather agree with him. What keeps coming to my mind here, is the understanding that halacha changes according to the community and times in which we live. Halacha can develop, is in fact meant to develop, as the conditions of the Jewish community change. That is what ensures the vibrancy and the continuity of the halacha as the coordinate system which roots all Jewish communities. Many times we who were not raised conservodox find them way to rigid, yes. But I have understanding and compassion for them, because I can see that they, like many Christians, are only striving to loving G-d with all thier heart, soul, and might. And as long as I can see them remaining humble in thier struggles to love and be loved, I can understand them as one of my own. But it’s when the orthodox dig thier feet in on halacha and act as if it CAN NOT, ever change according to the design in which it was made, that I find a wall being erected within our very house. One that says, your out, i’m in…. And then use G-d to justify it. This is not the heart of our Abba. And as someone who was raised a Reform Jew I pray you find the heart to understand what it’s like for ‘us’, as well as the hardships they face. We too face uncermountable hardships, ones that tear our very families apart. In the name of Tradition, and Torah. What was so telling is how after over 30yrs from a halachic change within the Jewish community the orthodox would still not recognize it and scoffed at her and the Rabbi who was identifying her plight. That to me, a former Reform turned Messianic Jew is sickening. So you will have to forgive me for my perspective, if I don’t find the orthodox the only ones worthy of identifying as being tried and tested in this brave new world of ours. I’m not saying that Orthodox Jews are perfect and advocating their standards as the only standards for Judaism. I hoped the title of this blog post would say it all. “Is there more than one right way to be an observant Jew?” If Jews find their community and their purpose in life relative to Hashem and other people in Orthodox Judaism, are we to say they are wrong? I disagree with the Orthodox criticize other streams of Judaism but we have to be fair. It’s not for us to say this branch of Judaism is good but those other branches are too hard, soft, rigid, flexible, observant, liberal, whatever. We, Jews and Gentiles alike, are responsible for only one person’s relationship with God…ours. Saying that Orthodox Jews might be better off in a more lenient expression of Judaism isn’t our decision to make. The discussion of “orthodox clothes” is interesting because it represents custom rather than halakhah, and it is something that has certainly various across the geography where Jews have lived during all the time during which they have lived in these varied places. Some of this variety is still to be found in Israel. Not everyone is constrained by the custom of dress that emulated the clothing of Polish noblemen some several centuries ago. It is a mistake to focus on this one particularly obvious custom as if it were the defining characteristic of orthodox clothing. Such a focus often leads to unjustified resentment of those who do maintain this custom, and it can lead likewise to resentment of those who pursue other customs of dress even when they are in accord with halakhic principles. It is my hope that other variations of custom will become more widely familiar as halakhah itself begins to reflect the changes in application that follow from living in Israel rather than in the galut where some familiar customs originated. I’m a little surprised you didn’t comment about the wider scope I addressed in the blog post and restricted yourself just to the subsequent comment I made. I thought you’d have more to say about Orthodox Judaism as presented in the sources I cited. @James — I didn’t want to jump into the larger topic “headlong with both feet”, though I addressed it in some degree in the clothing issue by pointing out that traditional Jewish custom is broader that the costume effected originally by Polish Hasidim and spread through their auspices to a wider body of the Jewish community. I did touch on the topic in another way in Derek’s blog today, arguing to support both the authority of long-standing tradition and the issue of justifying modern adjustments that must balance the customary applications of prior generations and those modern adjustments. So to your title question I am suggesting a cautious response of “Yes, but prior Jewishly unifying tradition is not to be merely discarded”. OK. I saw your response on Derek’s blog so I thought you probably had an opinion on the matter. I made a comment there as well, so I expect we’ll be “meeting” on Derek’s blog presently. I think that to characterize a multi-faceted group in a simplistic, reductionist manner is disrespectful to them. The religious world could really use a basic course in critical thinking, focusing on cognitive biases. Of course a person views their religious camp of choice as the best and looks negatively at that of others. Autobiographies and biographies written by adherents may provide interesting insights and anecdotes, but don’t expect these to be objective or accurate. Love Pliskin. I believe in the kindness of the almighty, as Pliskin mentions, there is far more grace toward both error and avarice than we can fathom. Thinking about your previous article, I imagine that there will be some surprises among those who insist that only their doctrinal camp is worthy of eternal life, as they discover the divine mercy that receives them in their ways that are likely far more aberrant than those they exclude. If anyone can show the best in Orthodox Judaism, it’s people like Rabbi Pliskin. I love the telling of the story of the Chassid on the airplane who was unknown to his fellow passenger but was the author of “80 books dealing with modern psychology and personal growth from a Jewish perspective.” So, this founder of a leading drug and alcohol rehabilitation facility, even dressed in a way that could be mistaken or taken as Amish, especially when he said so, was not so “behind the times.” Thanks for that and the opening meditation, James. You can understand the women’s thought process by getting that we find the non-standard behavior of our own relatives and those within our own camps more upsetting and threatening, as we are identified with them. I’ll have to admit that backwards “other people,” don’t bother me while backwards, “my people,” do. @Chaya: If it’s some other group, they don’t seem relevant. If it’s “us,” sometimes it’s embarrassing. Isn’t this Yeshua giving Peter the right to issue binding halachah (legal rulings) for His Community? Yes, but that brings up a couple of interesting questions. Does the halachah issued by the Council over the apostles overwrite all other halachah issued by other Jewish groups or is it only applicable to the Jewish religious stream of “the Way”? That would mean each Jewish stream would have their own halachot. It could also mean that the halachah for the Pharisees and the Way was largely the same with the only differences having to do with the admission of Gentiles without involving the proselyte rite. 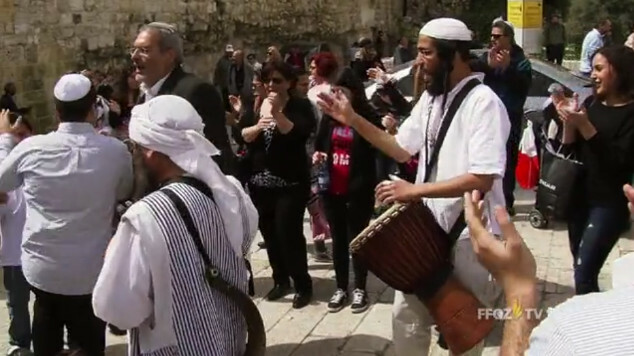 It raises even more questions: which halachah should Yeshua’s followers follow? Is there more than one way to be an observant Yeshua’s follower? A parallel conversation is going on between and Dror on Derek Leman’s blog related to your comment. My understanding is that halacha is local. Community leaders needed to be sensitive to the surrounding influences for the purpose of survival in the diaspora. This upsides the Christian mentality of searching for doctrinal rulings. “All authority in heaven and on earth” does not sound local. “people from all nations into talmidim” does not sound local. “until the end of the age” this age has not come to an end yet, so we are still here. That’s an interesting view, Chaya, because halakhah is also universal. 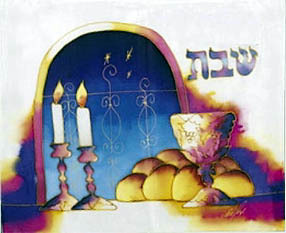 The techniques of keeping Shabbat, of family purity, of kashrut, are common across all Jewish denominations, even those that do not follow them strictly or at all. But you are right that a local community rabbi has the authority to issue a hora’at sha’ah (a temporary instruction) that has a limited application, and there are many local minhagim (customs) that do not have the force of halakhah. This is, I suppose, not so much a matter of “doctrinal rulings” as it is of common behaviors and perspectives shared and preserved across many generations of Jews. So, I have a question. When some Pharisees called J’shua out because his disciples didn’t wash their hands before eating some grain, were they right that he was wrong (that he wasn’t teaching properly)? That part of my question is rhetorical. Now, Christians go ahead and decide the Pharisees were right, as a matter of fact, but that it doesn’t matter if they were or that they were… because they are/were just completely on the wrong track. The Law is done for, don’t you know… already was. I hadn’t seen your last posting, Chaya. I do believe diaspora location (at least simply being in diaspora if not each specific place) was very significant in how things went as seen in say Paul’s letters. Marleen, one interpretation of that issue of handwashing is that the Pharisees may have been keeping a higher level of ritual purity than was required. During Temple times, to one degree or another, most Jews existed in a state of ritual impurity relative to participating in the Temple rites. When a Jew wanted to offer a sacrifice or even enter the Temple grounds he or she would have to immerse in the mikvah and perform whatever other activities necessary to enter a state of purity. This has nothing to do with sin and incidentally, nothing to do with kosher. It strictly has to do with entering a state of purity to allow one to participate in the Temple. According to one source, the Pharisees this kept a level of purity all the time (or as much of the time as possible), which would involve, among other things, the handwashing rite. The interesting thing here is that if some of Yeshua’s disciples ate without washing their hands it implies that others did wash their hands employing a higher level of ritual purity. Perhaps Yeshua was flexible on this matter. Or maybe some were eating their bread with impure hands and the others were not eating at all… who knows! Good observation, alfredo; thank you for pointing out this possibility that none who were in fact eating had washed their hands at that moment. And then, sure, maybe some did and some didn’t. I can make a donation to a charity while someone else doesn’t or clean a pen mark off my shirt while someone else doesn’t, and that has no bearing on whether or not these things are required. Yes, I’ve read that it’s possible some “Pharisees and some of the scribes” were trying to hold Jesus’ disciples to a higher level of purity than is actually required (along the lines of what you have now said, James). So my point is that we have to be clear about this as well as NOT skip reading the Law in the Bible, or we do nothing to take away from the common notions that the Law was being kept and properly applied and that THAT WAS THE PROBLEM. In fact, before I read in some book of an author who says Temple purity was being applied to everyone (that is to people who weren’t about the Temple), I was already able to derive (BY READING THE BIBLE) that something was off there. Christians don’t bother, usually. Why would they? That stuff is just a mess, right? I suppose that’s a possibility, but unlike Orthodox Jewish communities today, in the second temple period, it was not a custom to always wash hands when about to eat bread. Take a look at my review of another interpretation. On the subject of washing hands, it is worthwhile to note that there is a specific procedure and blessing developed by the Pharisees for this purpose. Deviation from the procedure, use of an alternative procedure or simply washing hands without the proper blessing would all be considered “eating with unwashed hands” and ignoring the spiritual goals of viewing the table as a symbol of the Temple and its sacrifices and approaching it with the same motivation toward personal purity. It may well be that some of Rav Yeshua’s disciples had followed an alternative procedure (“Reform” rather than “Orthodox” disciples [:)]) and thus they would be accused of eating with unwashed hands even if they had washed. This also relates to another issue regarding a view that the uncleanness of tumah could pass from hands into food and thus contaminate the human neshamah. This view was not universal, even among Pharisees, and Rav Yeshua emphasized an alternative view that the flesh and the spirit were not related in that manner, and that physical food does not become contaminated in that manner but rather is processed in the body, and eliminated into the sewer; whereas the purity of a neshamah is reflected in what comes out of the heart and the mouth of a person. None of this consideration of purity or the distinction between physical fleshly effects and spiritual effects has any impact on the issue of kashrut, though kashrut is one means of pursuing purity for both body and soul. Maybe I wasn’t clear. I certainly understand that torah was/is universal, but specific application was local. Interesting that various Orthodox streams have different halacha, although most of the difference is minhag, and you don’t hear so much arguing about which way is right, although if one is a member of a certain stream or congregation, one is expected to follow the halacha and minhag. The is quite different from the practice within MessyWorld of this or that group or authority telling others outside their jurisdiction what they should think (which is not a practice of Judaism) and how they should follow halacha and minhag. Like I would tell my kids; I only make the rules in my own house. Shavua Tov, Chaya — Haredim in Israel certainly would tell non-haredim how they should behave, though they are not usually in anyone’s face about it because it would be counterproductive. Instead, they encourage everyone to study Torah (as in some Yeshiva) because they know that such an environment presents a strong influence and a degree of social pressure. Halakhah within the orthodox framework does not have variations; it is what it is. But various communities or streams each have their own customs that provide additional details that usually go quite beyond mere halakhah. There are, of course, exceptions where they are very much “in your face”, where they think they can get away with it, as in areas near Bnai Brak or Mea Shearim or Beit Shemesh where there is a very high concentration of haredim. Women who do not meet purported “modesty” standards are quite often mistreated, and sometimes assaulted, particularly on public buses. Similar sanctions taken against men who violate some perceived standard are less publicized. Now, those who behave thus are rightly classed as vulgar hooligans, but such behavior is not unknown in any community that adopts a strong sense of right and wrong and considers the wrong to endanger their righteousness. American (and Israeli) values of individual freedom and liberty are, regrettably, not common coin among haredim. It is not outrageous to insist that there are righteous standards for behavior and to insist upon or enforce conformity with them. That is what police and a legal system are for. The issue is about what those standards are and how they are enforced. This is a little off the topic of standard or universal halakhah versus the variability of customs that attempt to express some aspect of it, but it does address the question about “community standards” and the communities that try to enforce them in various ways.